Long before green became a cause and not just a color, Chip Cheatham was adapting, reusing and reinventing materials made by man and nature. “Design, Refine and Repeat” is his mantra and mission as he explores the Pacific Rim and beyond for unique finds. Alan Dale Cheatham was born and raised in South Florida’s Fort Pierce area. Always creative, Chip loved fabrics, textiles and natural materials, which led him to study interior design. 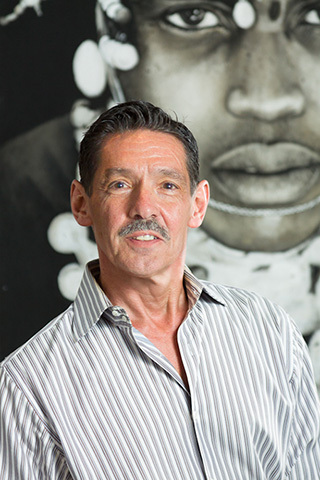 He assisted interior designer David Blumenthal of David Inc. in Atlanta, afterwards moving to Pittsburgh to redesign and recolor Regal Textiles’ existing fabric lines. Then Boston called, where Chip redesigned and coordinated 12 New England showrooms for Zales Corp. This experience proved to be excellent preparation for what was to come next. Back in Atlanta, Chip managed Rattanworks and was instrumental in its development. 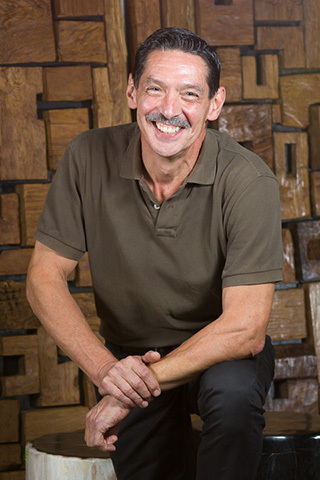 In 1990, he and a business associate purchased Rattanworks and renamed it PierceMartin. The to-the-trade showroom became a much-loved designer resource. Chip’s brilliant design aesthetic led to the creation of comfortable furniture and uncommon accessories, establishing him as “the designer’s designer” and a major design influence. PierceMartin was sold in 2010 to Palacek, where he currently serves as consultant and designer.